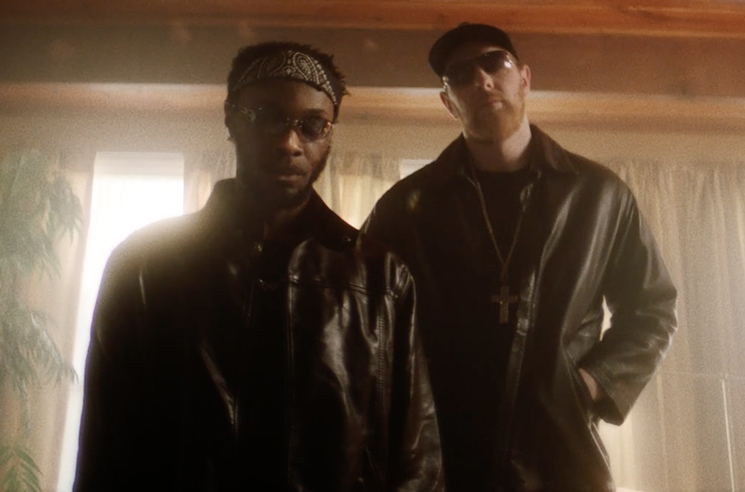 After teaming up for collaborative single "Puff Daddy" late last year, JPEGMAFIA and Kenny Beats have rolled out an accompanying video. The Maxwell Nalevansky-directed clip opens with Kenny Beats cooking up a psychedelic breakfast for the Baltimore MC. Unable to leave the diner under his own power, JPEGMAFIA trips out in the back of an ambulance before being admitted to a wild living room party. You can keep your eyes peeled for additional cameos from Open Mike Eagle, Ho99o9, Tommy Genesis and Injury Reserve's Nathaniel Ritchie in the player below. This year, JPEGMAFIA teamed with HEALTH for new single "HATE YOU." He delivered his Veteran LP last year and is currently on tour with Vince Staples.